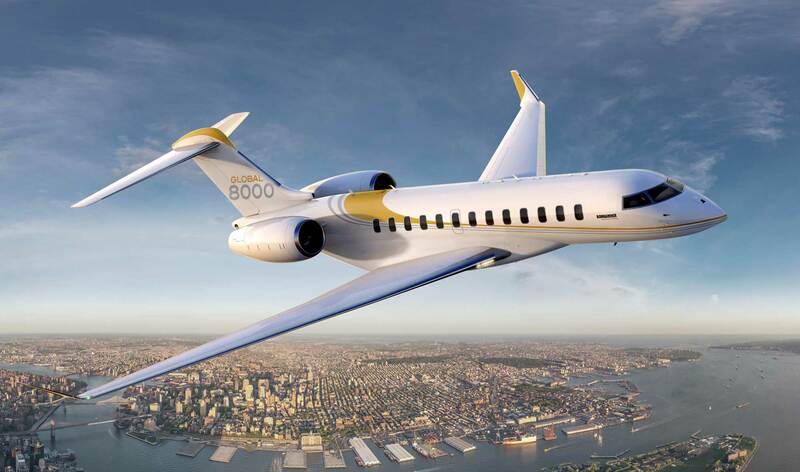 While Bombardier remains on track to certify and deliver the first Global 7000s later this year, recent comments from company executives portray a clouded future for its truncated, longer-legged sibling—the Global 8000. Compounding this uncertainty is a still-undefined certification schedule, an apparent paucity of orders, and, according to industry analyst Rollie Vincent, “unclear” market requirements. During an investor day late last month, Bombardier Business Aircraft president David Coleal said the Global 8000 accounts for “a very, very small percentage of our backlog,” implying that demand is lukewarm for a variant that trades nearly eight feet of cabin space for an extra 600 nm of range, to 7,900 nm. He avoided any kind of concrete schedule for the new jet, saying the Canadian aircraft manufacturer will “determine the right schedule for the 8000…probably sometime after” the Global 7000 enters service. Coleal also touched on the fact that the models might not have enough differentiation in the marketplace. “We're also going to look very closely at the performance of the 7000 in determination with the 8000 and understand the differences between the two.” Recent remarks by Bombardier president and CEO Alain Bellemare that there has been an “overinvestment in aerospace" over the past few years cast doubt on whether the company would even invest more to differentiate the Global 8000 from the 7000. He further explained Coleal’s comment about Global 8000 backlog. “It is really related to near-term deliveries and our operational plan, meaning we do have more flexibility operationally speaking with regards to the 8000 versus the 7000, which was always billed as entry-into-service first,” the spokesman said. The bottom line is, the 7000 is more than enough. To get a smaller version at only a 600nm increase in range, is not worth the time or money invested. Get the 7000 up & delivered...THEN think about an increase in range / mtow, if it's needed. The smaller G-650ER has about the same range / same capacity but not the 4 zone layout...yet. They had to build an "ER" version to keep up with the 7000...they can't compete with the 8000, if it's built. .